This Marriot Courtyard Hotel is slated to begin construction in January, 2011, with a planned opening in the spring of 2012. It is one of a number of projects expected to spark economic activity in the city and surrounding area. 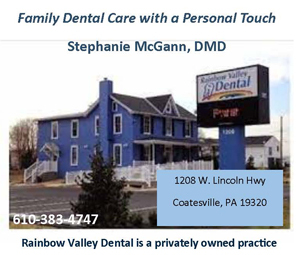 COATESVILLE — City residents will soon start to notice several new additions being added to their community — a welcome sign of new economic life and projects that could create jobs and other growth to the area in coming years. These additions include a brand new Marriott Courtyard Hotel, the Velodrome Project and a new location for Coatesville’s train station. 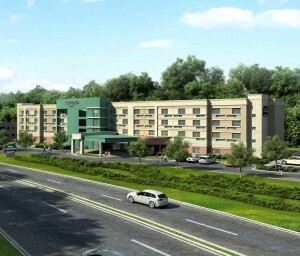 Construction for the Marriott Courtyard Hotel will begin on Jan. 1, 2011 at Route 82 and the Route 30 Bypass and is estimated to be completed by March 1, 2012. According to Donald W. Pulver, president of the Oliver Tyrone Pulver Corp., the hotel will include 125 rooms, an indoor pool, an exercise room, a meeting room, an eating facility, and an outdoor seating area with a fire-pit that overlooks the Brandywine River. 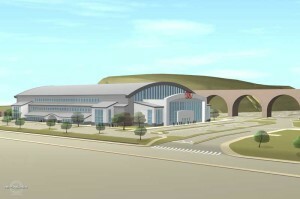 An artist's conception of the velodrome planned to be built in "The Flats" section of the city. 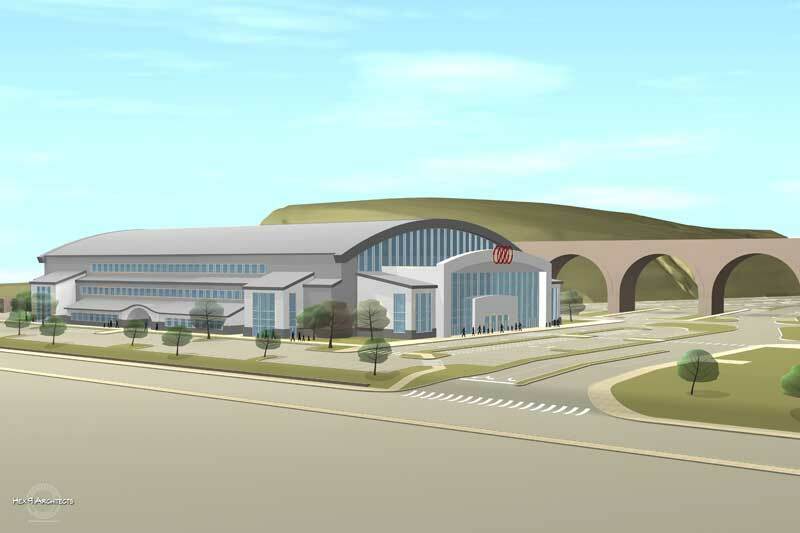 According to David Chauner, President of Velodrome Management Group, LLC, the project will create 165 new full time and part time jobs related to the facility. Coatesville’s train station is also scheduled to receive a facelift. Currently, the Coatesville Train Station does not comply with federal Americans with Disabilities Act requirements and PennDOT is working to fix this issue and relocate the station. The train station is located on the Keystone Corridor, which provides high-speed rail service between Harrisburg and Philadelphia and is served by AMTRAK. According to Joe Disciullo, Chairman of the Redevelopment Authority of the City of Coatesville, the completion of the Coatesville Train Station Redevelopment will allow SEPTA to extend its Paoli-Thorndale line to Coatesville.